Boston Red Sox outfielder Mookie Betts has emerged as one of the top players in all of baseball. Combining for power, average, speed, great defense and a cannon for an arm, Betts can easily be classified as the quintessential 5-tool player. Betts made his Major League debut in June of 2014 and in the 51 games he played that season, he previewed the numbers he’s putting up today with a .291 batting average and 18 RBI. 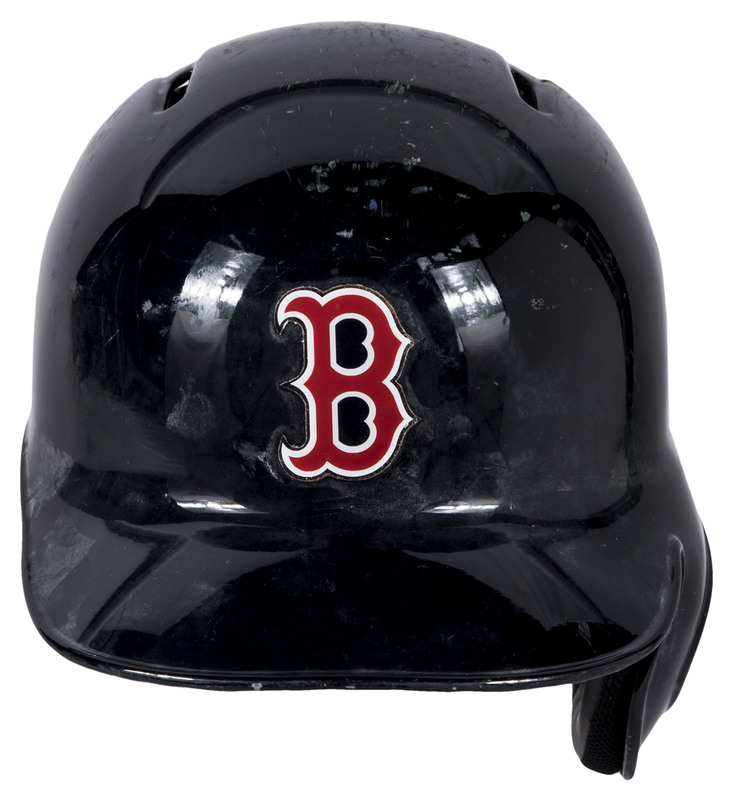 Offered is the very batting helmet Mookie Betts wore during his rookie season with the Boston Red Sox and has been photo matched to the game in which he hit his second career home run (August 25th at Toronto). This Rawlings size 7 1/8 navy helmet features the Red Sox “B” in a red and white sticker in Tuscan lettering on the center. 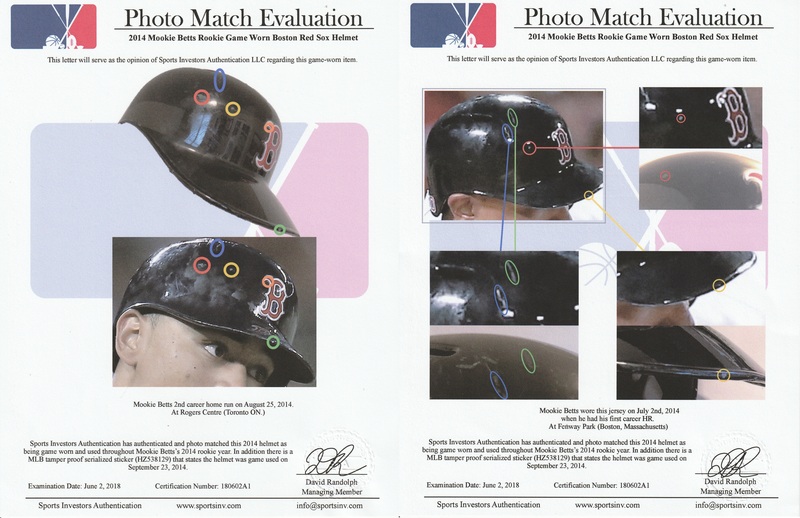 As Betts is a right-handed hitter, the left ear has a flap with an ear hole. 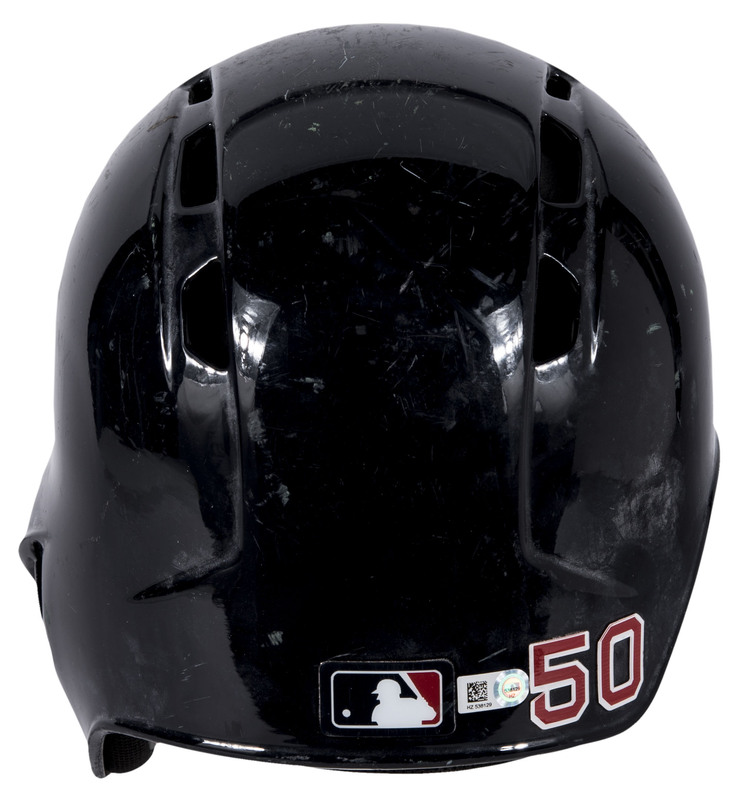 The back of the helmet has the MLB logo sticker and Betts’ number “50” in a red and white sticker in McAuliffe style numbering. The helmet has black padding with “7 1/8” hand written in silver marker. 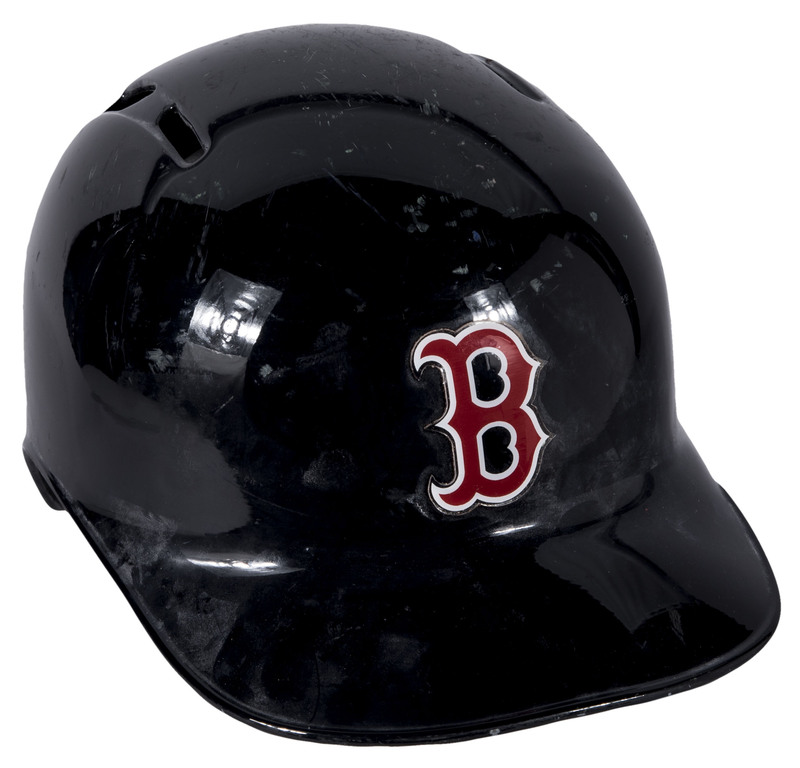 This helmet displays excellent game use with numerous scratches and marks. 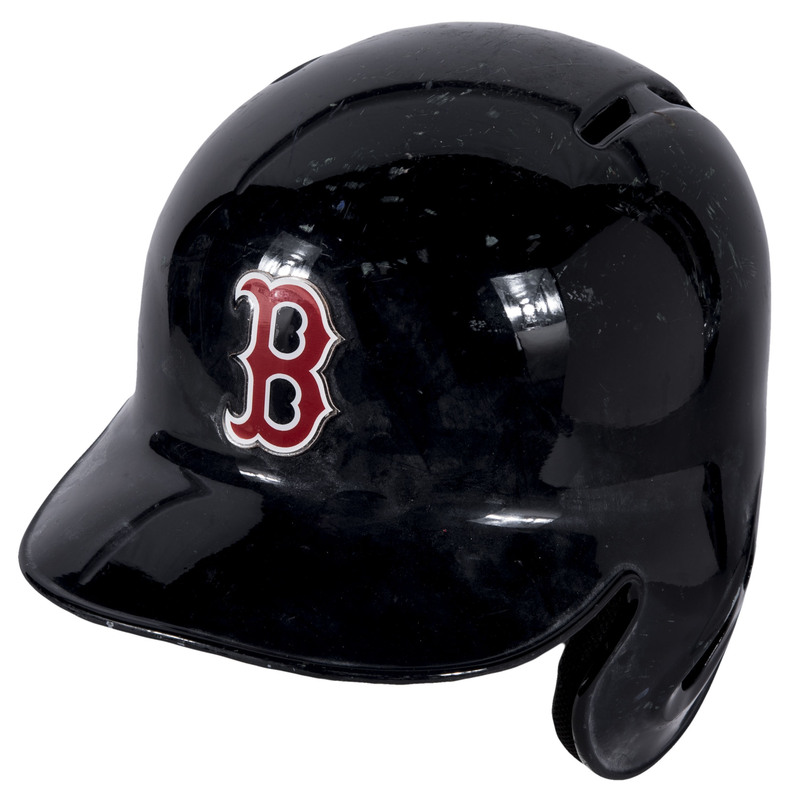 This helmet comes with a MLB Authenticated hologram (HZ538129) authenticating the helmet’s use by Betts on September 23rd. 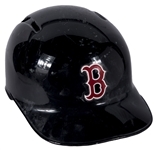 This helmet has also been photo matched by Sports Investors Authentication (180602A1) to his second career home run game on August 25th at Rogers Centre in Toronto.